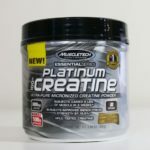 Home » MuscleTech Platinum 100% Creatine Review — Simple and Straightforward? 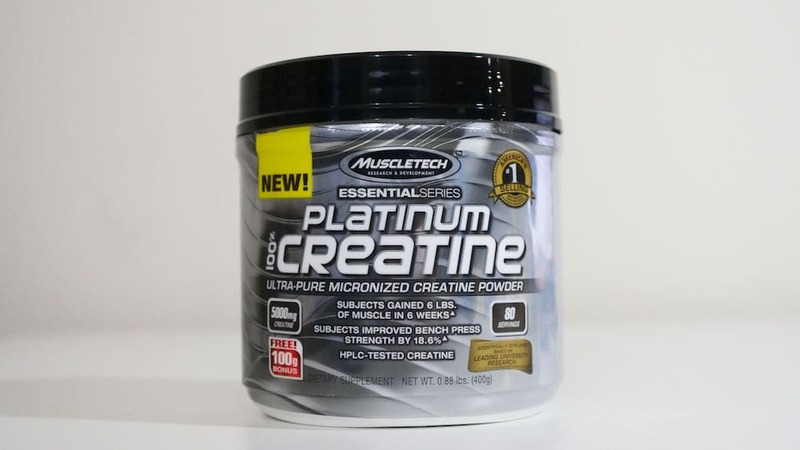 MuscleTech Platinum 100% Creatine Review — Simple and Straightforward? MuscleTech is owned by Iovate Health Sciences in Ontario, Canada, which is the same company that owns popular supplement companies Six Star Pro Nutrition, StrongGirl, and Hydroxycut, among others. MuscleTech is pretty well known for being a remarkably inexpensive supplement brand — click through to read our reviews of their Combat Whey protein and Assault Pre-Workout — so we wanted to see what their Platinum 100% Creatine had to offer. Platinum Creatine is unflavored and it only has one ingredient, so there’s not a ton to talk about with regard to the contents. That ingredient, of course, is creatine, specifically creatine monohydrate which is the most widely used and studied from of the stuff. Creatine, of course, is a product that’s strongly linked to not just the aesthetic benefits of larger muscles but also increased power output and athletic performance, plus it may have neuroprotective benefits and could improve cognition. Platinum Creatine is micronized, which means it’s a little fluffier in texture and more importantly it disperses super quickly in liquid. This can be pretty useful for folks who like to bring shakes with them to the gym or folks who like to stir in their creatine and sip it without needing to bring a spoon in case it settles at the bottom of the glass. It’s certified Good Manufacturing Practices as well, which is always a plus, although while it’s MusclePharm guarantees that it’s free from banned substances, it’d be nice if it were certified by a third party tester like Informed Choice or BSCG. Since it only has the one ingredient, it’s worth pointing out that there are no artificial or natural flavors or sweeteners. If you prefer creatine that’s flavored or has some extras thrown in — there’s some evidence that adding high-glycemic carbs can help drive creatine to the muscles, for example — you’re out of luck with this product. It’s basic, but the price reflects that. In search of creatine? See our best reviewed creatine picks. You can pick up 400 grams, which provides 80 servings, for $11. 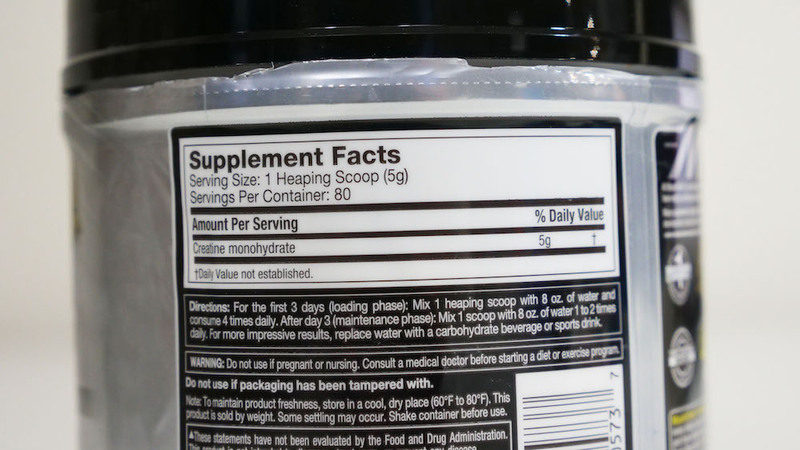 So that’s about 14 cents per 5-gram scoop or 2.8 cents per gram of creatine. That’s very, very cheap. For comparison’s sake Optimum Nutrition’s micronized creatine is 23 cents a scoop and GNC’s creatine is 20 cents a scoop, so if Platinum isn’t the cheapest creatine on the market it’s certainly one of the cheapest. It’s a no-frills product, but as far as no-frills creatine goes it’s cheaper and easier to mix than many of its competitors. It’s easy to recommend Platinum Creatine.